Timurud, the god, must protect the good against the evil, the weak and powerless civilizations against ferocious galactic empires, and his first mission is to defend the peaceful Sferogyl people against the Maggotroll Empire, warlike hominids who are determined to enslave the Sferogyls and capture their planet. Timurud is not allowed to fight in space battles, but he can help the Sferogyls prepare to defend themselves. 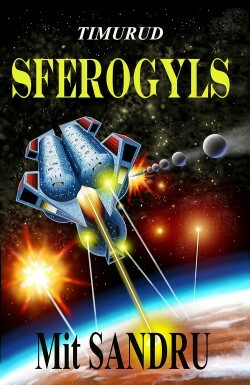 Trouble is, the Sferogyls don’t have any spaceships or armies, and only a short time to build up their defenses.